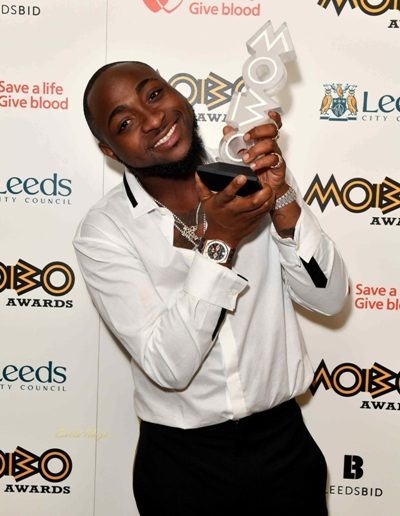 Nigerian singer David Adeleke, a.k.a Davido, has won the Best African Act, at the 2017 edition of Music of Black Origin (MOBO) Awards. Held on Wednesday night at the First Direct Arena in Leeds, United Kingdom, the 22nd edition saw the DMW boss beat Wizkid, Wande Coal and Tiwa Savage among others, to the prestigious prize. Wizkid won the Best International Act ahead of Drake, Jay Z and Kendrick Lamar. On the international scene, English grime and Hip Hop artiste, Stormzy, was the biggest winner of the night winning in three prestigious categories – Best Male Artist, Best Grime Act, and Best Album. MOBO Award show is held annually in the United Kingdom to recognise artistes of any ethnicity or nationality performing black music.